At 7pm yesterday, eight strangers walked into a flat in central Birmingham to eat supper. 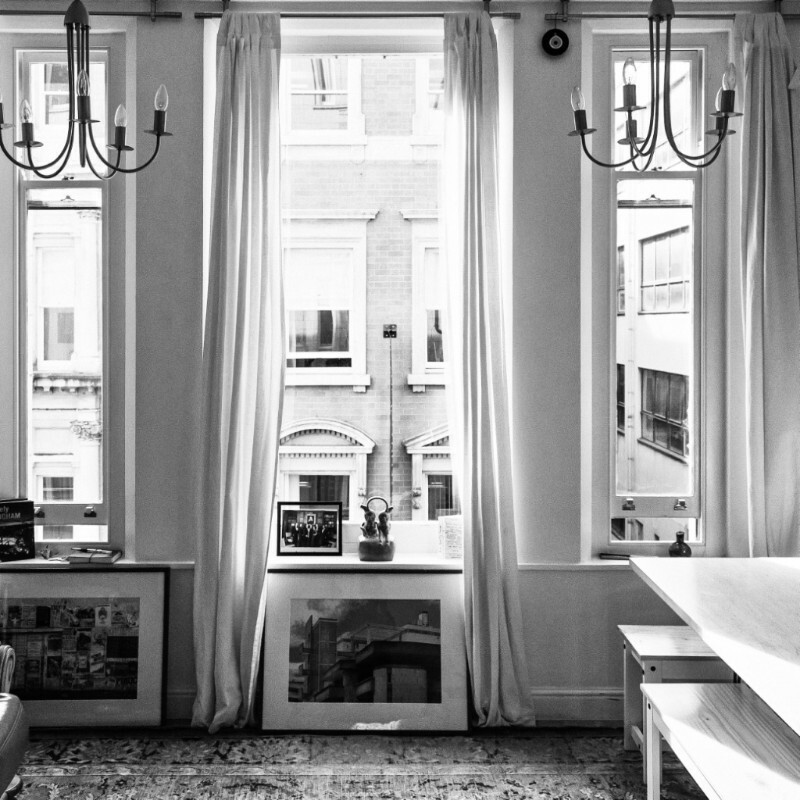 You'll be forgiven for never having heard of this particular space — they're calling it Flat 8 Gallery — what with it being an apartment where two people live. But it also happens to be an extraordinary art gallery. Fancy it? 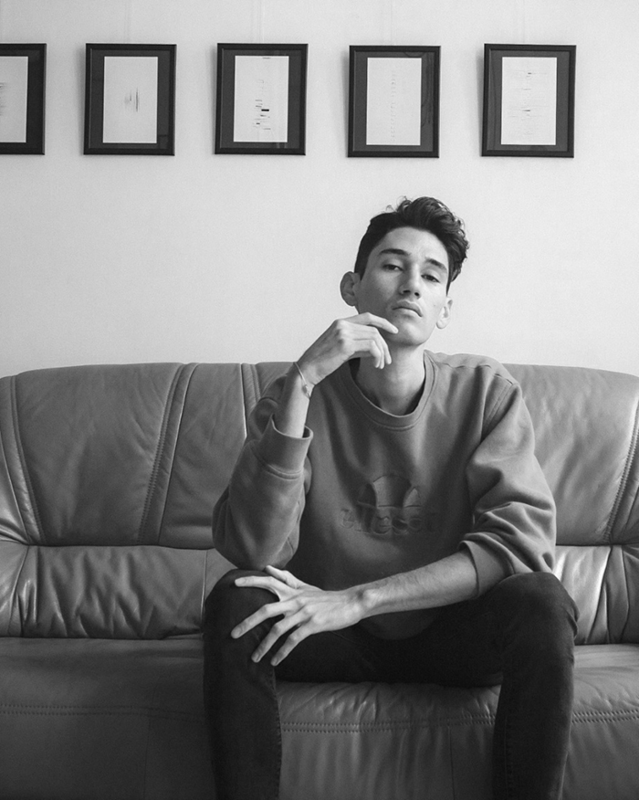 Young Salvadorian artist Mauricios ("Mau") Samayoa moved to Birmingham in May, having studied in Buenos Aires, and backpacked around Columbia. 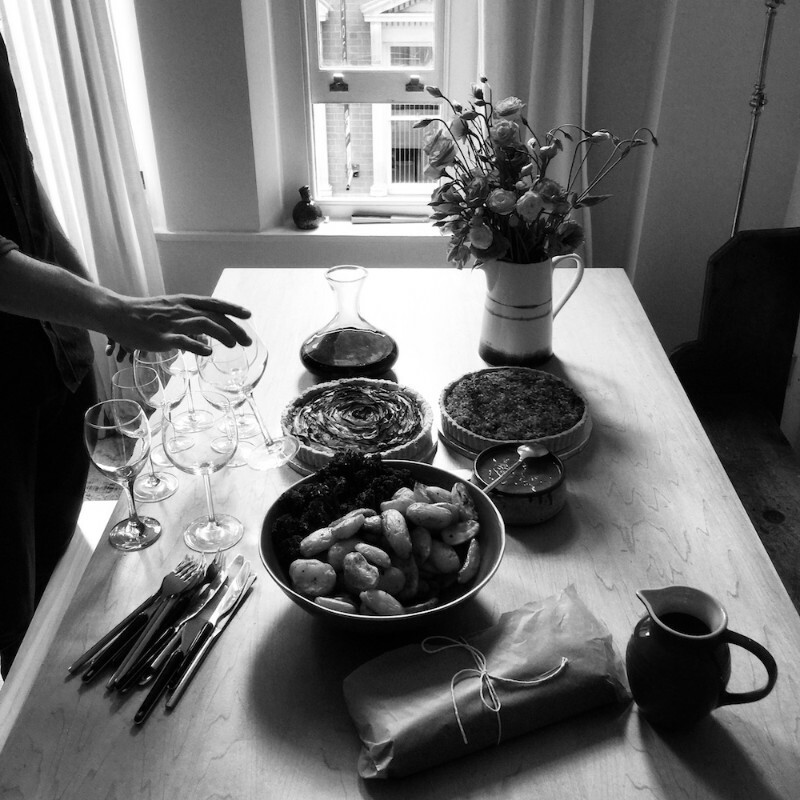 Finding a vibrant, active art scene in Brum — a city he hadn't heard of before moving continents to join partner, Alex — and a love of having people for supper and conversation, Mau decided to arrange a weekly meal including artists, friends, and people who had shown an interest in Flat 8 on Instagram. Between Alex's private art collection, Mau's work and pieces their creative contacts were keen to show, the pair's flat has quickly become a living gallery, with plenty of cause for discussion. And based on the brownies Mau was taking out of the oven when we went for coffee, the vegan cooking of the super-approachable 29-year-old is another major plus. "There were ten of us at the first supper," say Mau. "We quickly found that the intimate, different space allowed guests that thought they knew very little about art to experience work in a new way, sharing their thoughts rather than wandering around a more traditional gallery, solo. And wine always helps." As well as its permanent collection, Flat 8 is currently showing work from Black Country Type by local artist, Tom Hicks. A number of the artists displayed, including Hicks, have been a guest at a supper to chat through the inspiration behind their art, even passing their pieces around the table where possible. Flat 8 shows works of artists from America to Italy to Wolverhampton, including photography from Attilio Fiumarella, whose work was previously hanging next to a Picasso and a Matisse at The Barber. And if that feels intimidating, try not to let it, Mau makes sure there's a real mix of people at each supper, from artists to people who just want to try something new. Just don't ask him for the guestlist in advance: "What would a person's name or job title really even tell you about them?" Spending his life running away from winters, Mau's ducking the cold British months by heading back to Columbia to look for artists interested in crossing continents for a 2019 art supper. Being handed the keys to Flat 8, creator of other-realmly food-based art experiences, Kaye Winwood. Her first supper is a super-sensual five-course tasting sort of deal, happening on November 21. The BYOB evening asks for a cost-covering suggested donation of just £15, with further dinners planned before Mau returns. Which he really will by the way. "I love Birmingham — I love the accent, I love how people underestimate the city and what it's achieving. In London, the art scene is all about money; in Birmingham, I have been so well supported and I'm excited about everything we're going to do with Flat 8." Follow Flat 8 Gallery to hear about all its events. Or email info.flatgallery@gmail.com to come for supper, or if you're an emerging artist interested in getting involved.